Next month, from October 17-25, the Arizona State Rifle & Pistol Association will host the 6th Western CMP Games and Creedmoor Cup at the Ben Avery Range in Phoenix, Arizona. 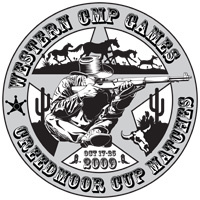 Western CMP Games events will be held Oct. 17-20, while the Creedmoor Cup Matches take place Oct. 21-25. All interested shooters, from novices to High Masters, are invited to participate. Registration deadline is October 14, 2009. The Western CMP Games kick off with a New Shooter Clinic on Saturday, 17 October. This year the clinic will be held in the morning so that a 200-yard Garand-Springfield-Vintage Military Rifle Match can be fired that afternoon. On Sunday, 18 October, there will be an As-Issued M1 Garand EIC Match in the morning where shooters lacking EIC points can earn introductory “4-point legs.” That afternoon, there will be a new event on the schedule, a Rimfire Sporter Match. The Rimfire Sporter Match is a low-key event that caters to all ages and skill levels. Shooting opportunities on the third day, Monday, 19 October, have also been expanded. There will be a second Garand-Springfield-Vintage Military Rifle Match that morning followed by an M1 Carbine Match that afternoon. The Western CMP Games Matches conclude on Tuesday, 20 October, with a third Garand-Springfield-Vintage Military Rifle Match. The Creedmoor Cup schedule begins on Wednesday, 21 October, with an Advanced Clinic. The Creedmoor Cup Matches include a Practice Match, a 4-Man Team match, the 80-shot Creedmoor Cup Match and an EIC Match. Both events feature special hospitality events and prize awards. For more information, or if you have questions, vist the Western Games Webpage, or contact Christina Leveck-Roguski, (419) 635-2141 x1114, croguski [at] odcmp.com. 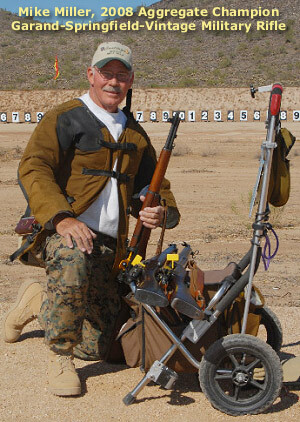 Share the post "Western CMP Games and Creedmoor Cup in October"